Cloud Computing forever changed the way IT gets things done. But when your data moves off premise, you need to know that your SaaS vendors are maintaining the industry's highest security standards. 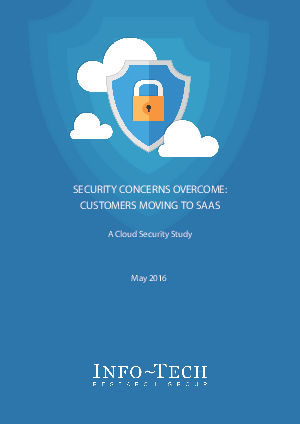 Read this Info-Tech white paper, Security Concerns Overcome: Customers moving to SaaS, and learn five ways you can work with your SaaS vendor that will inspire your confidence in their security skills.